A Joint DET & WAS initiative, the professional learning program in 2018 is offering specialised training to School Leaders and SSS staff. This program will continue into 2019 with additional training options being rolled out early next year. The mission of the Practical Research Autism Centre (PRAC) is to improve teaching practice and educational interventions for students with Autism Spectrum Disorder. The work of PRAC is oriented by a theory-to-practice model where research informs practice using measurable standards. PRAC aims to provide world-class practical research in autism education. The Program supports the educational needs of a group of adolescent students that despite all reasonable adjustments, are disengaging, or disengaged from their mainstream schooling (Home School). The Program implements research evidence based practices and intervention strategies designed to build the academic, personal development and wellbeing of students. These evidence-based practices and strategies are implemented in close collaboration with the Home School. The Program is designed to enable students to return to their Home School or another school or vocational pathway identified through the Student Support Group in consultation with the student and their parents/carers. 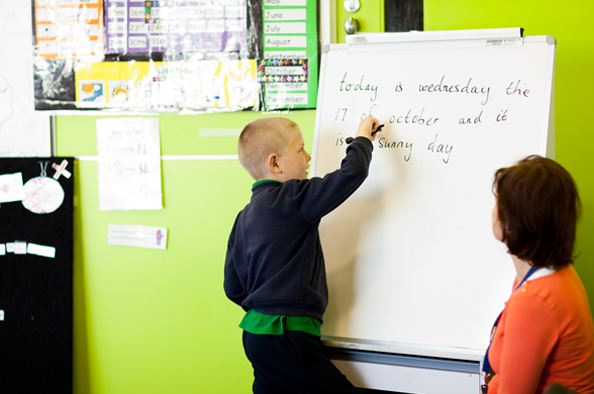 In 2018 the new revised enrolment policy for the Wattle EIP developed with and endorsed by the SWV Region, is being trialled for review at the end of the year.